The saying “everything old is new again” applies to fireplace mantels and home décor as much as it does to fashion. Art Deco is a style that became popular in the 1920s. The characteristics of this style are geometric designs and bold colors. Art Deco flourished in everything from jewelry design to architecture and home design, including fireplace mantels. Today, Art Deco mantels are enjoying a revival in popularity. 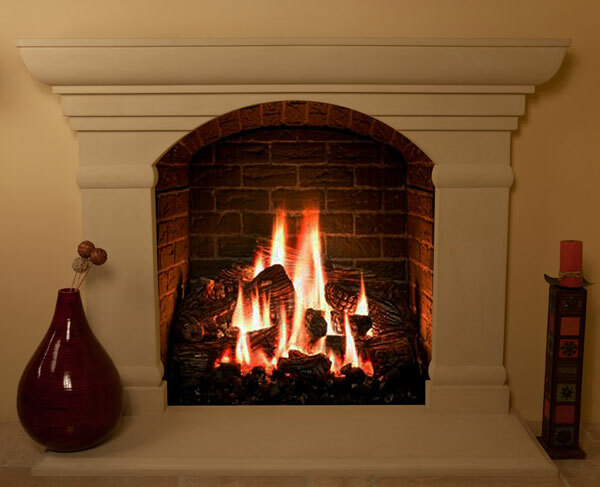 SoCal Fireplace Mantels is your premiere provider of Art Deco fireplace mantels in Los Angeles. SoCal Fireplace Mantels strives to be your first choice as a Los Angeles Art Deco fireplace mantels provider. From bold mantels featuring squares, triangles, or other geometric shapes to lavishly ornamented mantels, we have one of the widest selections of Art Deco fireplace mantels in the region. Because Art Deco is such an eclectic style, we strive to maintain a variety of Art Deco designs to allow you to select the one that best suits your tastes and your décor. If you do not see a design that is exactly right for your home or business, our designers will work with you to create a custom Art Deco mantel that suits your tastes. In addition to offering a number of Art Deco designs, SoCal Fireplace Mantels strives to be your first choice as a provider of Art Deco fireplace mantels in Los Angeles, Orange County and Ventura County by offering you a number of materials from which to create your mantel. Whether you prefer the classic look of stark white marble or if you wish to recreate the bold colors of Art Deco designs by choosing maroon or even green marble, we have a natural stone that will mesh well with the furnishings in your home or business. In addition to natural stone, we also offer cast stone options in a number of shades. Visit our extensive showroom in Van Nuys to discover for yourself why SoCal Fireplace Mantels is your leading Los Angeles Art Deco fireplace mantels provider. Browse our entire design selection of fireplace mantels, overmantels, statues, gazebos, and precast architectural products in person, or shop from the comfort of your own home by requesting a catalog.